Wine Spectator has just released the scores for its top 2006 Piedmontese wines, including highly sought after Barolo and Barbaresco. And the good news is that, because of the less-than-stellar vintage conditions, a number of them are supposed to be nearly ready to drink right now. This makes them not only worth seeking out once they're available, but also useful additions to any wine collection: While you're waiting for your more age-worthy 2003's, 2004's, and 2005's to mature, you'll have these 06's to tuck into in the shorter term. 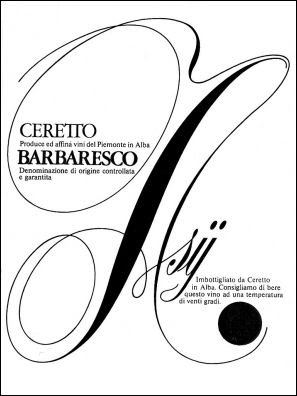 Top scoring Barbaresco includes the Pio Cesare, the Ceretto "Bricco Asili," and the always stunning Gaja. In Barolo, Pio Cesare and Boroli both received high scores. And, of course, while you're waiting for these 2006's from Barbaresco and Barolo, the Barberas and Dolcettos from the same year are available right now and are drinking beautifully. Even in a more difficult year like 2006, Piedmont has apparently, yet again, produced some real standout wines.